The big news of the week is that Sony and Marvel came to terms in allowing Spider-man to appear in future Marvel movies. Sony will retain the rights to the web slinger, but he will be allowed to join forces with the Avengers in the not so distant future. While people are understandably excited, I don't think it is that big of a deal. Marvel has been fine without him and I don't personally think he will add to much. I hope I am wrong as I have nothing against Spidey, but it didn't excite me in the least. The only hopeful rumor is that Donald Glover, aka Childish Gambino, will be cast as the new Spider-man. Now that would be exciting! The Walking Dead #137 - The path that Carl Grimes has been on from the start of this comic to who he currently is amazes me. I would have never Carl to have grown up the way he has and find myself genuinely scared for what may happen to him. 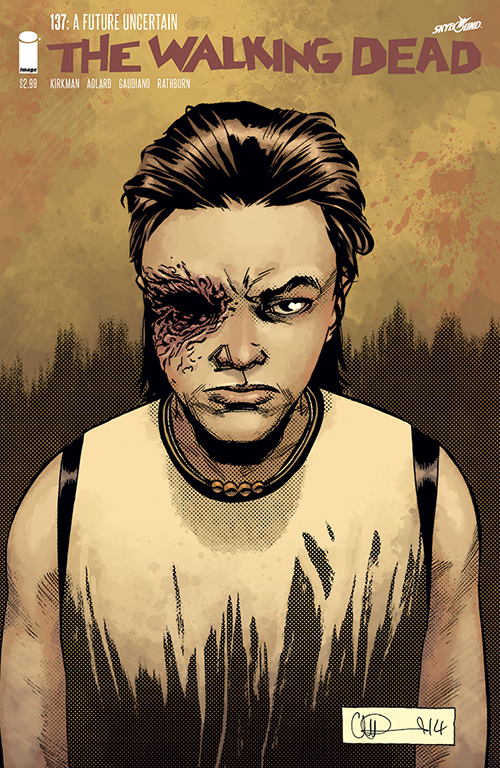 As a parent, I might connect with him a bit more than other characters, but curse you Robert Kirkman for what may be going down soon. Lydia is shaping up to be quite the villain and I am fearful of what will happen when her true intentions are revealed. Also, did I see iocane powder? I hope that someone spent a considerable time developing an immunity to it. Yikes! Darth Vader #1 - Interesting debut for Lord Vader and a bit unexpected. Following the events of Episode IV, it is no surprise that he is in hot water with the Emperor. Under his watch, the Rebels were able to destroy the greatest weapon that anyone had ever seen. When you mess up like that the boss isn't going to be happy. 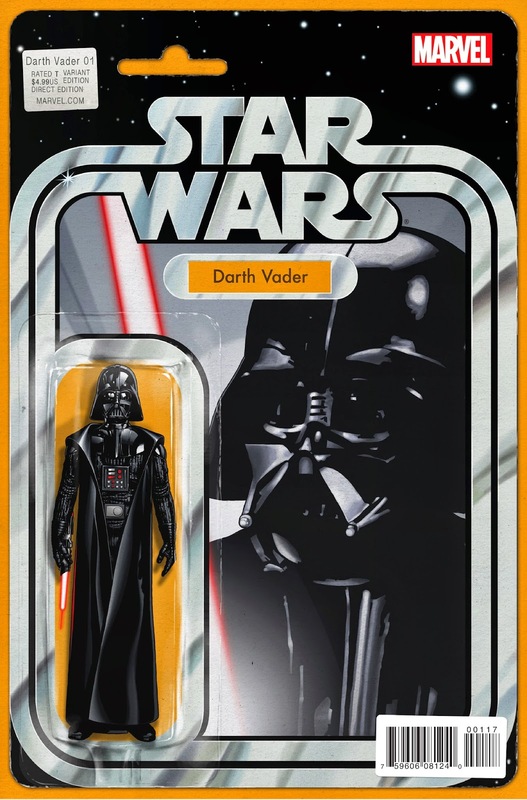 Thus far in the main series, Vader is a force (sorry) to be reckoned with. There is a certain level of satisfaction to see him getting chewed out for a major screw up. I continue to be impressed with Marvel's job with this license. Southern Bastards #7 - The train wreck that is Euless Boss' life continues as he finally makes his way onto the football field. As I mentioned with the last issue, Jason Aaron does a great job convincing you to feel sorry for the antagonist from the first arc. Coach Boss' origin story is rich and complex and has convinced me I don't want to live in small town Alabama. This tale has been dark, gritty, disturbing, and a whole heck of a lot of fun. 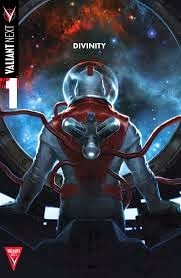 Divinity #1 - Matt Kindt, Trevor Hairsine, Ryan Winn, and David Baron deliver a puzzling debut issue that has me still scratching my head. Abram Adams was abandoned as an infant, and because of his incredible intelligence was groomed by the Soviets for a special mission. He was to set out on a trip to the edge of the galaxy. Challenging the notion of time itself, Adams appears later as a cosmic entity capable of great things. Not entirely sure what to make of it, but setting up to be a sci-fi title that may warrant additional purchases.